A guest post by Part 107 Pilot and writer Kara Murphy. 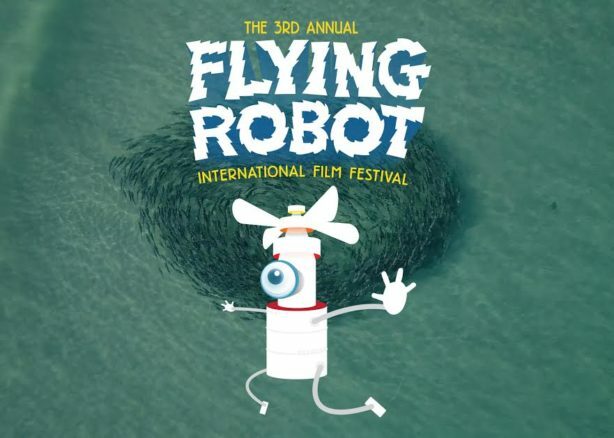 The 3rd annual Flying Robot international Film Festival (FRiFF), the world’s premiere competition highlighting the best in drone culture and aerial cinema, landed at San Francisco’s historic Roxie Theater this past Thursday. The evening began, around the corner, at 518 Valencia where SanDisk, X Class Drone Racing, and more held court. The official screening followed where Justin Hall emceed and kept the crowd in stitches. 25 films were nominated across seven categories — Cinematic Narrative, Epic Landscape, Drones for Good, FPV Racing & Freestyle, WTF LOL, Promotional, and Student Film. Read on to discover, and watch, the winning entries plus find out what Zoe Stumbaugh (Zoe FPV), a renowned FPV pilot, thought of Paul “Nurk” Nurkalla’s winning, controversial film.